Karen A. Grépin is the Canada Research Chair in Global Health Policy and Evaluation and an Associate Professor in the Department of Health Sciences as well as the School of International Policy and Governance at Wilfrid Laurier University. Dr. Grépin’s research focuses institutional factors affecting the demand and supply of health services, the politics and effectiveness of development assistance for health, and the role of routine health information systems in strengthening health systems. Her research has been published in leading global and health journals including the Lancet: Global Health, Health Policy & Planning, and the Journal of Health Economics. She has a PhD in Health Policy (economics) from Harvard University and an SM in Health Policy and Management from the Harvard School of Public Health. You can follow her on twitter at @KarenGrepin. Over the past 30 years, Partners In Health has grown from humble beginnings in a tiny, one-room clinic in the mountains of rural Haiti to serve millions of patients each year across 10 countries around the world. The PIH model has helped to change global health policy in areas including HIV/AIDS and tuberculosis, and has inspired countless individuals and organizations through an approach often described by the word ‘accompaniment’. PIH Canada National Director Mark Brender will share thoughts on how accompaniment can help us on the path towards universal health coverage and elevate standards of what is acceptable for the world’s poor. Katrina Plamondon is a Practice Leader for Research and Knowledge Translation at Interior Health (British Columbia), where her work focuses on health system strengthening by enabling people across the system to use and do research. She is a Registered Nurse with a clinical foundation in critical care/emergency and street outreach. She completed a Master of Science in Community Health & Epidemiology in 2006 (University of Saskatchewan). Katrina is in the final stages of a doctoral program at the University of British Columbia under a Banting & Best Canada Graduate Scholarship. Her doctoral research extends a decade of research and practice in knowledge translation with a focus on advancing health equity. A member of the Canadian Coalition for Global Health Research since 2004, Katrina co-chairs the Policy & Advocacy Committee to promote more consistent, coherent investments and practices in global health research. She was the Principal Investigator for the multi-year Gathering Perspectives Studies that led to the creation of the equity-centred CCGHR Principles for Global Health Research (available here: www.ccghr.ca/resources/principles-global-health-research/) and the lead on a series of publications contributing to national dialogue about Canada’s role in global health research. She is frequently invited to present on equity-centred practices for research and knowledge translation, ranging from conferences to guest lectures and intensive training institutes. Abena Thomas is a Public Health specialist with over 10 years of experience in HIV and AIDS, infectious disease as well as Maternal Newborn, Child Health and Nutrition programming. She is currently the Grant Manager / Monitoring and Evaluation Advisor for the Enhancing Nutrition Services to Improve Maternal and Child Health in Africa and Asia (ENRICH) program with World Vision Canada. Abena is also a Part Time Academic Professor in International Development at Humber College. Her interest in health systems strengthening and DME have led to a focus on capacity building and the development of tools and strategies that facilitate improved program design, implementation and monitoring. Rachel completed her Bachelor of Science in Nursing in 2016 (UBC Okanagan) and is currently completing a PhD in Nursing at Dalhousie University. She works as a Research Assistant for the WHO Collaborating Centre on Health Workforce Planning & Research and the Mapping & Understanding Mothers’ Social Networks Study (MUMS). This past summer Rachel spent 3 months in Dar es Salaam, Tanzania as a Queen Elizabeth Scholar. While there, she assisted with maternal health research at Muhimbili University and taught midwifery students, nurses, and graduate students on the neonatal, pediatric, and maternal ICU’s at Muhimbili Hospital and in the Master’s in Midwifery program at Muhimbili University. Her recent publications include topics such as addressing sexual health in the health care setting, cardiovascular disease in Zambia, and knowledge translation in family nursing research. Rachel hasa passion for women’s health, health equity, global health, and maternal health. Rachel is also a dedicated volunteer and has volunteered in her local community in many capacities, including for organizations such as Options for Sexual Health B.C., the YMCA, Autism Nova Scotia, the Alzheimer’s Society of Nova Scotia, and Swimming With A Mission Canada. Run by Global Health Sim (http://www.ghsim.com): Global Health Sim is a movement committed to developing free open access resources for global health learning. Resources focus on peace, global health, ethics, and humanitarianism. Global health issues, both locally and internationally, are some of the most complex concerns facing society. Through engaging role-playing simulations in-person and online, we work to help students and practitioners better understand these complexities. Dr. Dodd is an Assistant Professor in the School of Public Health and Health Systems at the University of Waterloo. His research aims to understand and address the social and ecological determinants of global health and development. He completed his PhD in Epidemiology and International Development Studies at the University of Guelph, Canada and a CIHR Postdoctoral Fellowship at the Dalla Lana School of Public Health, University of Toronto. Abena Thomas: Exploring interdisciplinary approaches in Global Health, particularly maternal newborn, child health and nutrition. Partners in Health Canada Spark is an independent group of passionate individuals building a movement for global health equity and social justice. As a self-organizing collective of students and young professionals across Canada, we strive to support the life-saving work of Partners in Health Canada through the completion of fundraising, engagement, and educational initiatives. 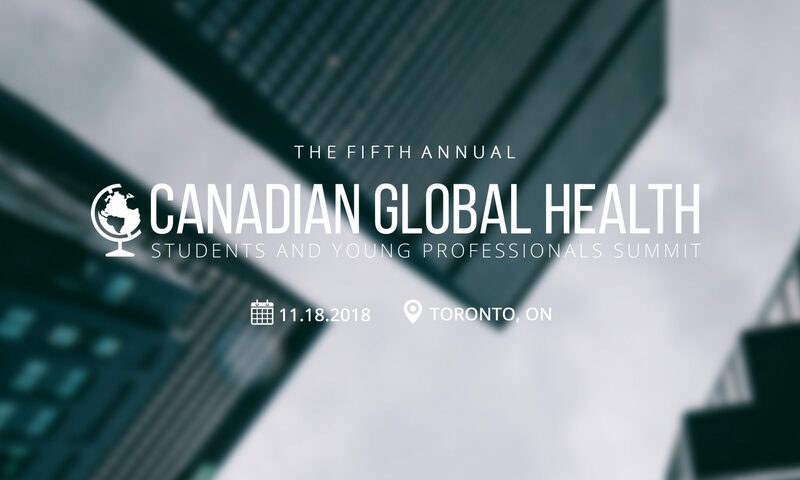 As the Education team, we complete academic activities that support the activities of PIH Canada, engages the public in global health research, and provides the opportunity to refine our own collaborative and academic skills as young global health professionals. Gautham Krishnaraj is a Michael G. DeGroote Doctoral Excellence Scholar and PhD student with the Humanitarian Health Ethics Research Group at McMaster University. In 2017, he was awarded the Aga Khan Foundation Canada’s International Development Management Fellowship, which took him across East Africa to support the work of the Madrasa Early Childhood Programme. Upon his return in 2018, he worked for the Every Woman Every Child Innovation Marketplace based at Grand Challenges Canada in Toronto. Over the years, Gautham has led various youth delegations to the United Nations and OECD, and is in his third term as a National Youth Advisor to the Canadian Red Cross. Dr. Sylvian joined the Department of Sociology and Anthropology at the University of Guelph in 2002. She received her undergraduate degree in Anthropology from Wilfrid Laurier University and her M.A. and Ph.D. in Anthropology from the University of Toronto. She spent two years at Dalhousie University as a postdoctoral fellow where her research focused on indigenous peoples’ rights issues.Dr. Sylvian’s research interests include the intersections of gender, race/ethnic and class inequalities, human rights, and indigenous peoples’ issues in southern Africa. This workshop will explore ways to develop an appreciation of the social and cultural dimensions of health, broadly construed, in the context of an indigenous community in Africa. Using examples from my work with San (Bushmen) in Namibia, I will focus on how the concept of ‘culture’ can be used (and misused) in health interventions, and how the notion of ‘social suffering’ can used to examine the ways in which structural injustices and structure violence impact individual and community health and well-being. We aim to be a central hub where researchers and young professionals come together to discuss health issues affecting sub-Saharan Africa. Through each of our undertakings, the UHRA strives to: (1) Raise awareness and understanding about important health topics affecting sub-Saharan Africa, (2) Promote equitable engagement by prioritizing inclusion and recognition of African scholars in these discussions and (3) Offer a platform that provides networking and partnership opportunities for the stakeholders involved. Erick Carreras has a background in surgical clinical research, as well as nutrition and methylmurcery assessments in the Amazon of Peru. Recognized with the Outstanding Achievement Award from the Faculty of Health Science at McMaster University, Erick Carreras graduated with a Master’s of Science in Global Health, while having specialized during a term in the Netherlands at Maastricht University in the Sociology sub-speciality of Science and Technology studies. Since the completion of his studies, Erick has worked to promote Gender Equity and Social Inclusivity in the workplace of the private sector in Barranquilla, Colombia; completed free-lance English to French translation work for a non-profit that helps establish Syrian Refugees coming to Canada who identify to be a part of the LGBTQ2+ community; and supports the field work and administration of social programs to urban indigenous residing in Ontario in a culturally-centered way. As founder of Global Health Diaries, Erick hopes to raise the consciousness of the world by spreading knowledge on the term he coined in his publication earlier this year, “Global Collaboration”, as a paradigm to collectively co-create a better tomorrow made for all, by all.